Courtesy of D’Angelo Realty Group LLC. Tastefully Fully Renovated High Floor Columbus Model condo with Three Full Bedrooms & Baths. Preferred 04 line with two balconies for unobstructed New River views plus Pool/River/Sunset views on the West. The standard Columbus model layout has been thoughtfully configured for 3 bedroom/3 bath living while improving the flow and living space. No details overlooked with renovated baths with new cabinets and fixtures. Stylishly updated kitchen with new cabinets & back splash. This home features custom painting, new lighting, doors, and baseboards. Marble floors throughout. 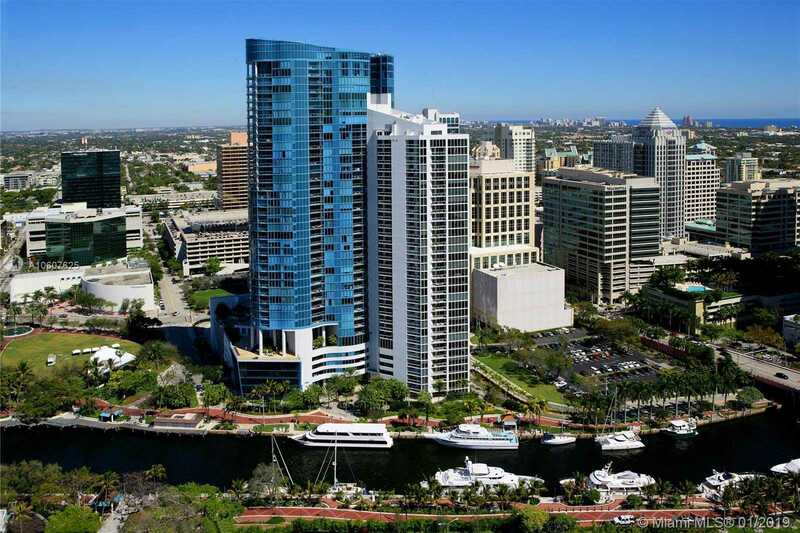 Private Elevators, Floor to Ceiling windows, and superior amenities all just steps from Las Olas restaurants & shops. Compare this unit to other 3/3s in River House and downtown area. You’ll get more for less.